I’m a Massachusetts native. I’ve lived here my whole life. So it pains me to say that New York is getting something right, and we’re fumbling the ball. Last week The New York Times featured a piece about the ambitious plan that New York City Mayor Bill de Blasio unveiled earlier this year to create a hybrid light rail and streetcar line to connect the neighborhoods of Brooklyn and Queens. $2.5 billion would be invested to establish dedicated streetcar tracks along a 16-mile stretch. 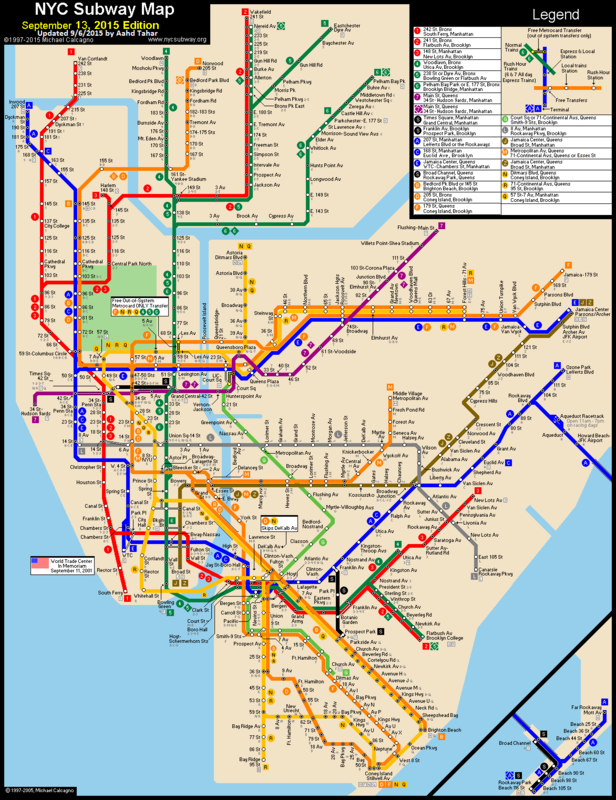 The way the New York City transit system works is very similar to the way the MBTA functions. It operates as a hub and spoke, meaning that most riders venture to the hub, think Downtown Crossing or parts of Manhattan, and transfer to reach their destination, like Revere or the Bronx. The Brooklyn Queens Connecter would instead be a straight shot from one neighborhood to another and open up new transit destinations to the myriad of residents and business owners in New York City. I confess that when I read the article I was green with envy. What if we did something of that magnitude here in Massachusetts? What if we committed to investing in a transportation system that didn’t just barely creep along, but instead was the engine for creating economic growth across our region? This is typically the moment in the conversation when someone makes the point that we have to fix what we have before we can grow. Here’s the thing: New York has challenges to address too. Replacing dilapidated train cars, repairing tunnel damage caused by Superstorm Sandy, and making upgrades so that trains are running on time are enormous ongoing challenges. But New York appears to understand that maintenance and growth aren’t mutually exclusive. Here, we can also address our pressing state of good repair needs, while still embracing and investing in a vision for our shared transportation future. The good news is that a planning process is in the works to help us imagine what growth could look like here at home. The MBTA has launched an extensive visioning process, Focus40, to design a 25-year strategic investment plan and guide the agency into 2040. Focus40 is a chance to think bigger and bolder about what the MBTA can be 25 years from now. How can we make getting from point A to point B easier for people, including riders with disabilities? How can we spur economic growth in underserved areas of our region? How can we respond to business demands for reliable and accessible transportation, at all hours of the day? How can we use public transportation to improve public health? When the Pats meet the Jets in November I can assure you I won’t be feeling any love for New York. But I will be channeling the city’s focus on meeting today’s needs while investing in tomorrow as I attend Focus40 meetings. Because, gulp, Massachusetts needs to be more like New York. Just a guess here, but I think part of the reason NYC can get this done is that a larger percentage of the population uses rail every day. The first time I was near the Penn Station exit near 7th Ave and 33rd on a workday morning, I was just overwhelmed by the mass of humanity coming out onto the street from the subway and the commuter lines. I’d like to see what the actual numbers are. How’s the Second Avenue subway coming along? It was proposed in 1919, started in 2072, and a small portion of it may open within the next year. New York isn’t exactly a city that has a track record of expanding transit. DeBlasio is on the right track, but there are others who actually are getting the job done. NJ Transit has new light rail along the Hudson River (opened in 2011), the Newark Broad Street extension (2006), and from Trenton to Camden (opened in 2004). We can do better. We must do better. Our economic vitality depends on more and better transit. Just don’t look to New York as a place where they can get these things done. It was started in 1972. It’s true that the 2nd Ave Subway has been a 100 year project, but there have been plenty of MTA expansions over time. Hell, the JFK AirTrain is a relatively recent and welcome upgrade. Nice, but it’s a Port Authority project, not MTA. Post-war, the NYC subway has been marked by far more demolitions and eliminations of service than expansions, despite the expansion of large residential areas east of Flushing Meadow Park. but to the user, the Silver Line is part of the T. And, to the user, the AirTrain is part of the MTA. You use your MTA to gain access, it’s interconnected with about a dozen different MTA bus or subway connections, etc. The Port Authority has access to the money and balance sheet to build it, but it’s always been well understood that the finished product would be integrated with NYC’s mass transit. The Silver Line is a part of the MBTA. The tunnel out of South Station, the equipment, all MBTA. The point is not what it looks like to a user, even though there is a separate fare system between the MTA and LIRR and AirTrain. The point is that the MTA did not build, open, or operate AirTrain. MTA struggles to open anything, from a new bus line to an envelope. I’ve been meeting with community members there and was struck by how isolated it was. The commuter rail access is great and it was a quick walk to downtown but there were so many cars choking the roads and I’m sure the air quality is a lot worse there, especially with Rt 1 cutting through the town. I know there will be an SLT expansion but it seems that we could restore the old Orange line spur to Everett and have it pass through there. Two communities that desperately need more options. I agree with you, but we can’t even get to Somerville. It’s amazing that the red line ever made it past Harvard Square. The most recent transit expansion in Boston? Hubway. The original terminus was supposed to be near Bedford on the old B&M line to Hanscom, which would have made a great second airport. Even getting to Arlington Center would’ve been nice, as Pablo can attest to. You make a fair point, but Bridj is newer. Hubway is publicly owned, and there is new infrastructure and a different use of public ways. Bridj is private—just try to find out what their ridership is. I’m not arguing with you, just rationalizing my blind spot! …that the NYC system was much more of a grid rather than hub and spokes. It’s an odd hybrid, because of NYC’s odd shape. Click the image for a larger view. That and the fact that it used to be separate systems, and were sortof smooshed together. That’swhy sometimes you have to walk through 2 blocks of tunnels to make a transfer. My dad still refers to things such as the IRT, BMT, and Broadway Line, which are tough to translate unless you are a native. One thing to remember in the current world of NYC subways, is that the numbered trains are the old IRT, and their trains are not inter-operable with the rest of the system, the BMT and the newer IND, which have been blurred by the ability to move trains between those two systems. I know this is kind of irrelevant to any real discussion, but I’m a former New Yorker, and this is starting to bring out my inner transit geek. From back in the day when the IRT meant something, and before the demolition of many of the elevated trainss. Click on image for larger view. linking North and South stations. It’s a dream of our former Governor Mike Dukakis and my Congressman Seth Moulton.